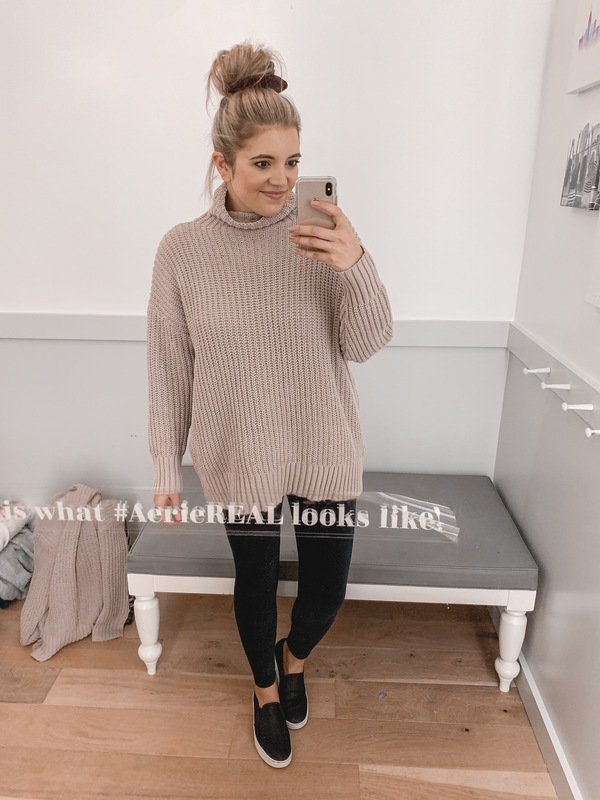 Y’all, I cannot even tell you the last time I shopped in store at American Eagle. It’s been years! 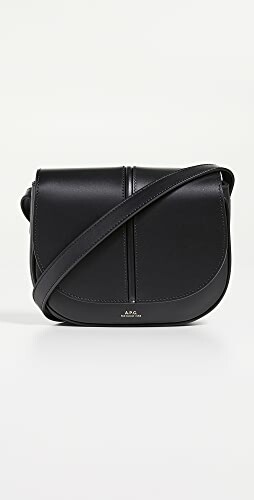 Over the past year or so I’ve placed some online orders, but going in store completely intimidated me. 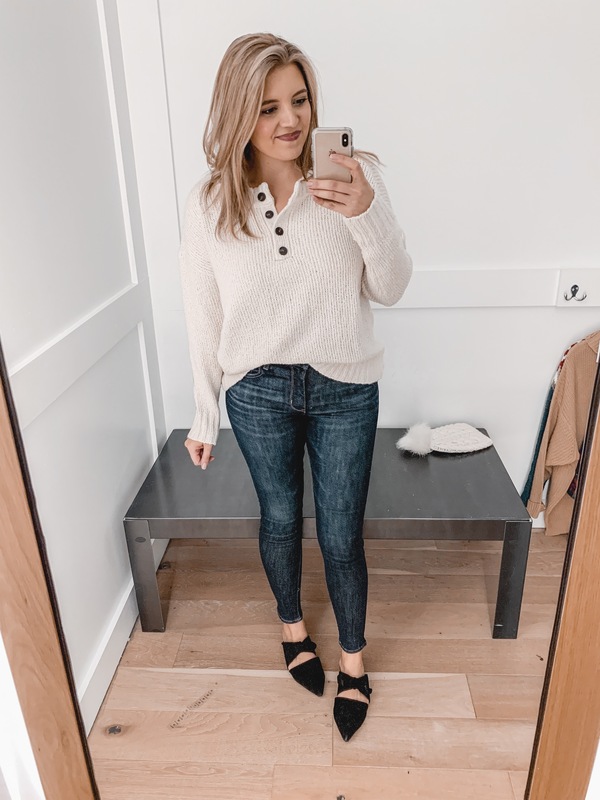 I imagined myself being surrounded by thirteen year old girls, but an AE and Aerie try-on session was your top request! So, I braved my fears and went shopping. 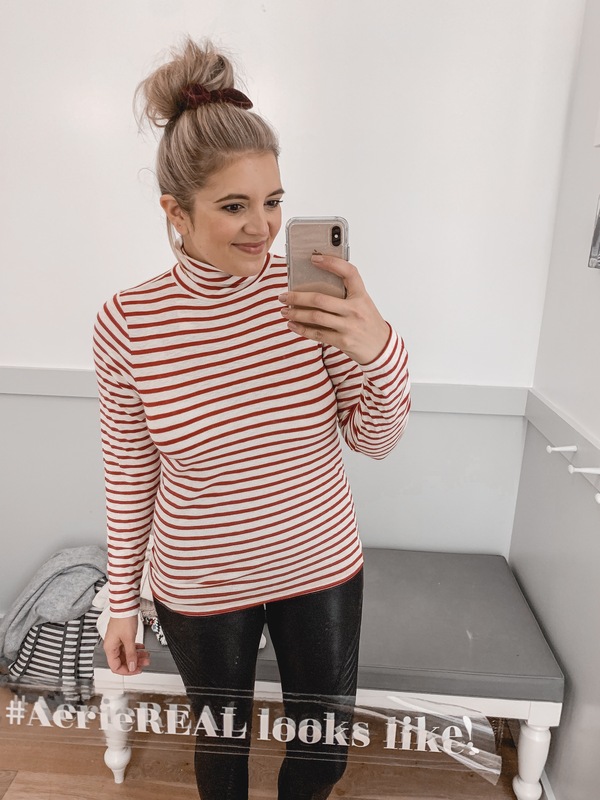 😂I was so impressed with my finds, and I didn’t even have to fight off any tweens for sweaters! 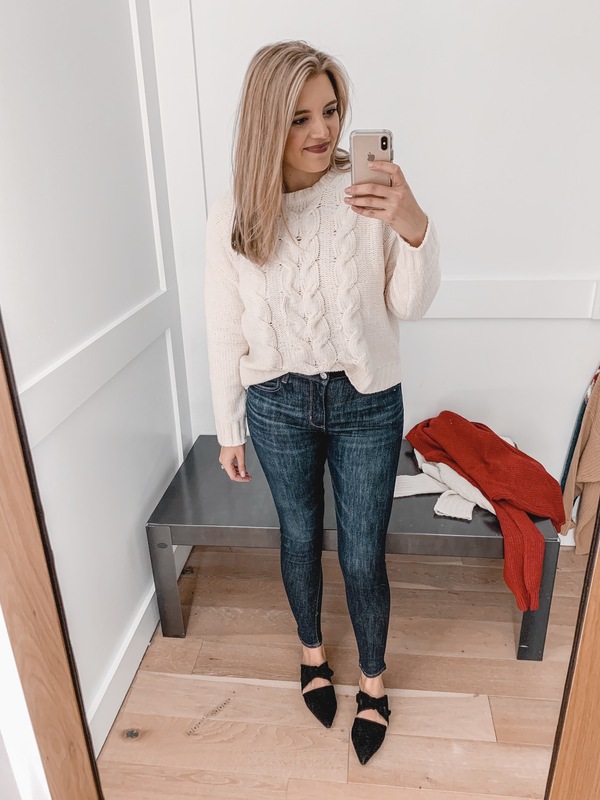 😉Read on for 25 items perfect for fall, winter, and the holidays! I am 5’7.5″, and I am currently a size 8/10 (29/30) or a medium. 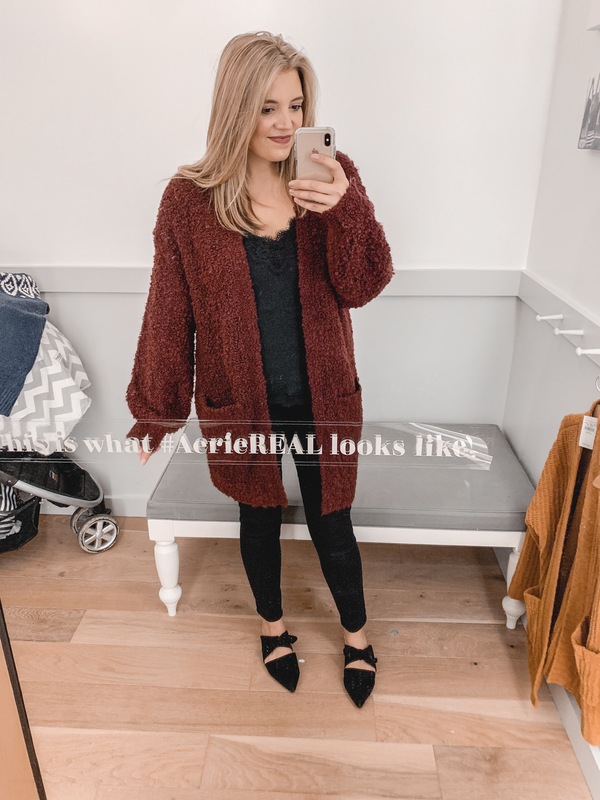 If you have any question about what size I’m wearing, I list all the details beneath each photo along with links! 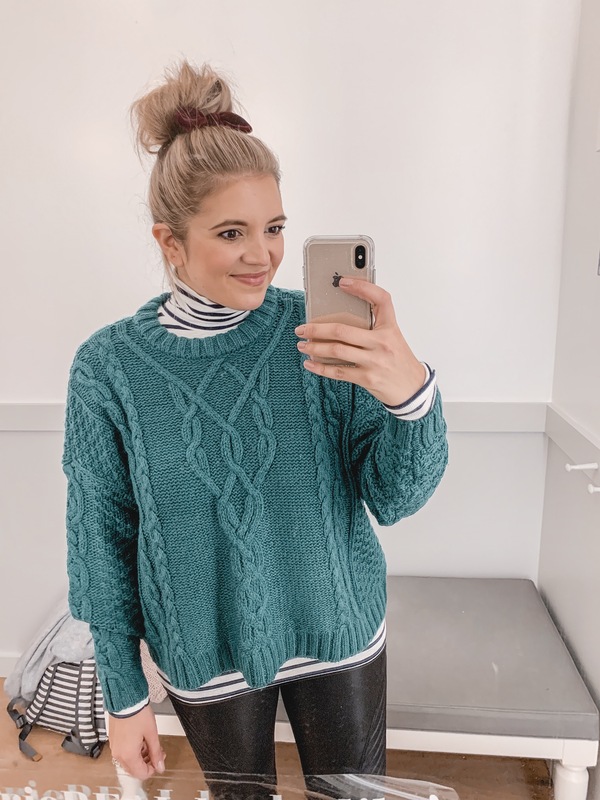 I’ve been all about textured sweaters this year, and this one is perfect! It’s hits a little above mid-thigh, so not super-long, but it does cover the booty. 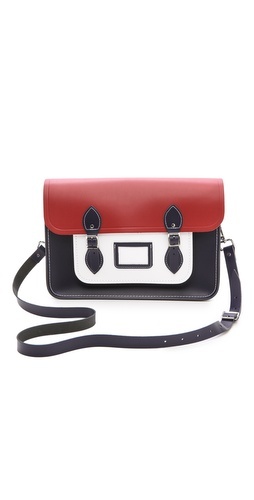 It also comes in four other colors! This rust and the mustard yellow are my favorites. I also couldn’t pass up trying out their jeggings! 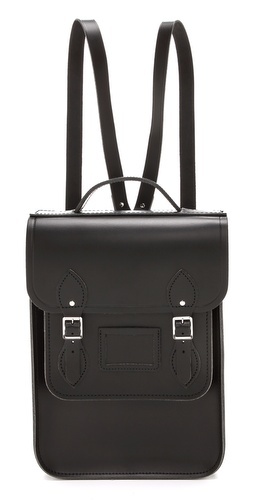 I keep hearing amazing things about these high rise ones, and I gotta say: I did love them! They’re a little heavier weight than the Old Navy Rockstars and aren’t quite as stretchy. 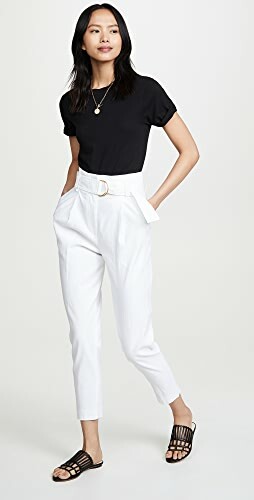 I did still find them comfortable though and they didn’t seem like they would stretch out quite as easily as some other affordable denim brands. Comfy hoodies and pullovers are the rage right now, and I loved the color of this one! The outside is very cozy, but I was disappointed that the inside isn’t lined the same way. It’s not uncomfortable or itchy in any way, but I just wanted it to be cozy inside too! 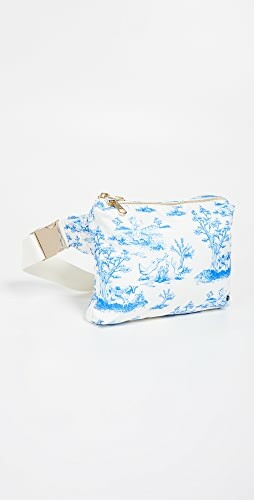 I found one at Aerie that I liked much better. 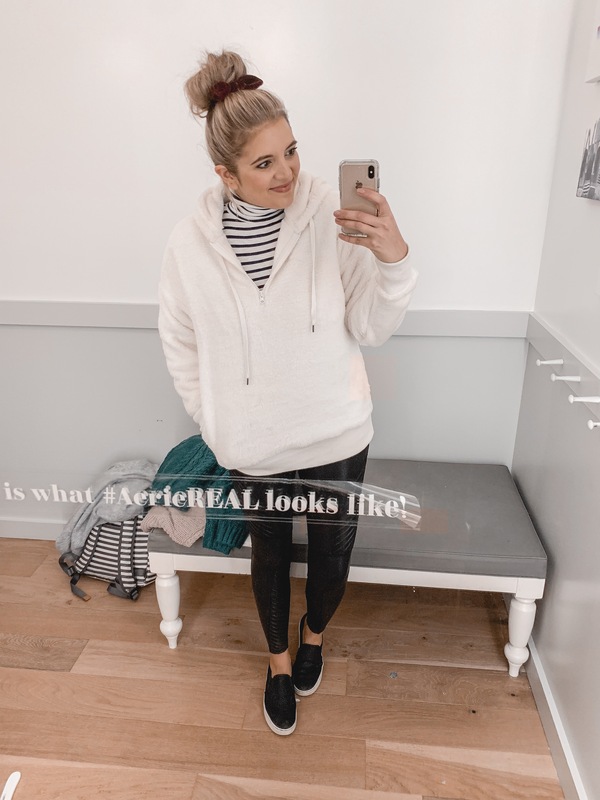 You can check it out below in the Aerie section! 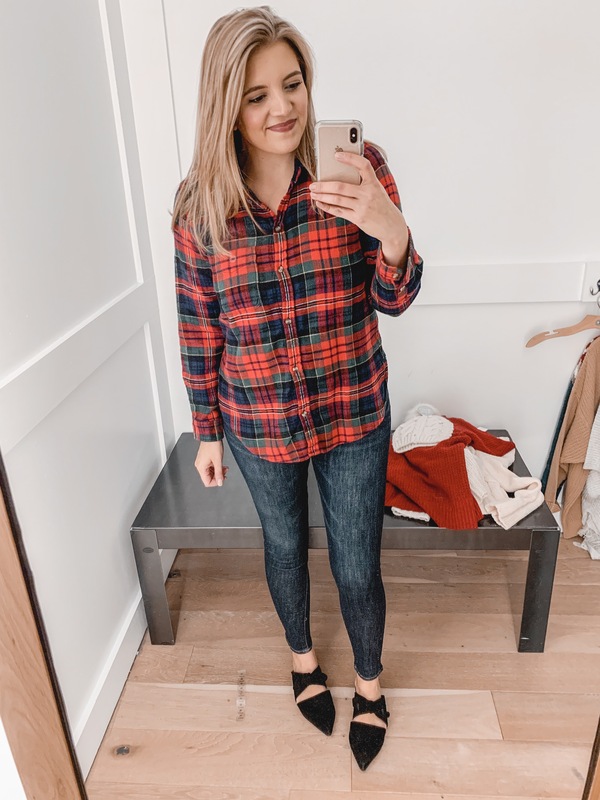 I love my Old Navy tunic flannel, but this one definitely gave it a run for its money. It is much thicker and more substantial than the ON version, which I loved. I also liked the subtle gold thread detail in the plaid. It is so fun for the holidays! Fit is oversized. I’m in a medium, and it even worked at the bust line. 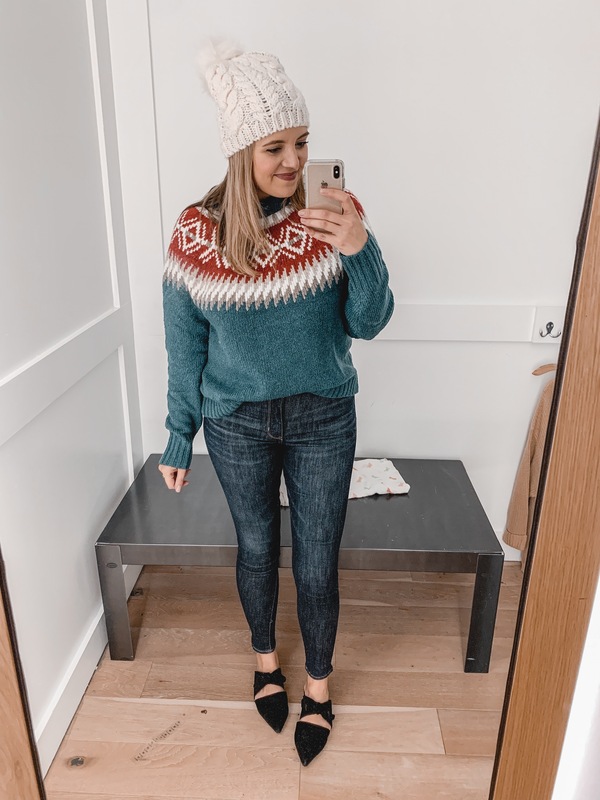 So that teddy pullover may have failed me in the cozy department, but this cable knit more than made up for it! Y’all, I can’t even tell you how soft it is!! It does have a relaxed fit but still works for layering. It also comes in three other colors. To see it solo, scroll down! 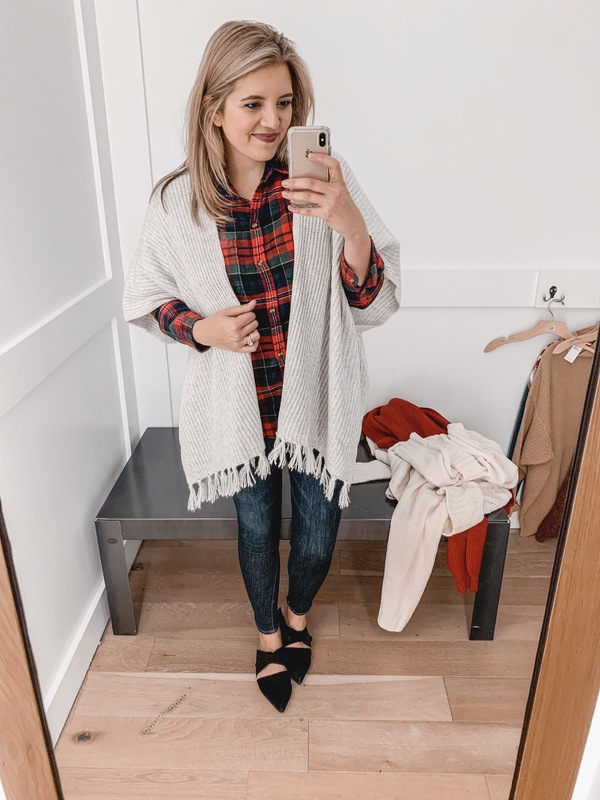 I love a good wrap and this one is a nice light option that you can wear over dresses, long sleeve tees, sweaters, or button downs. 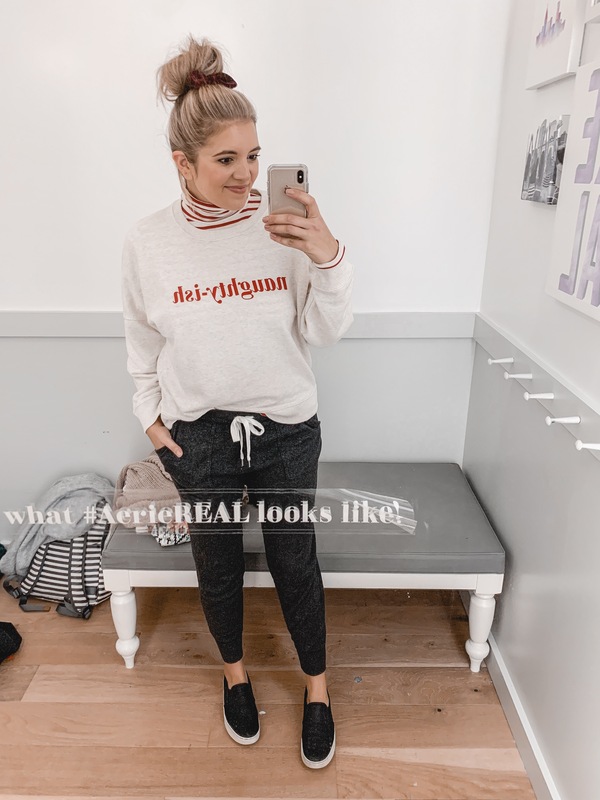 I have on the oatmeal color but it also comes in rust and gray. 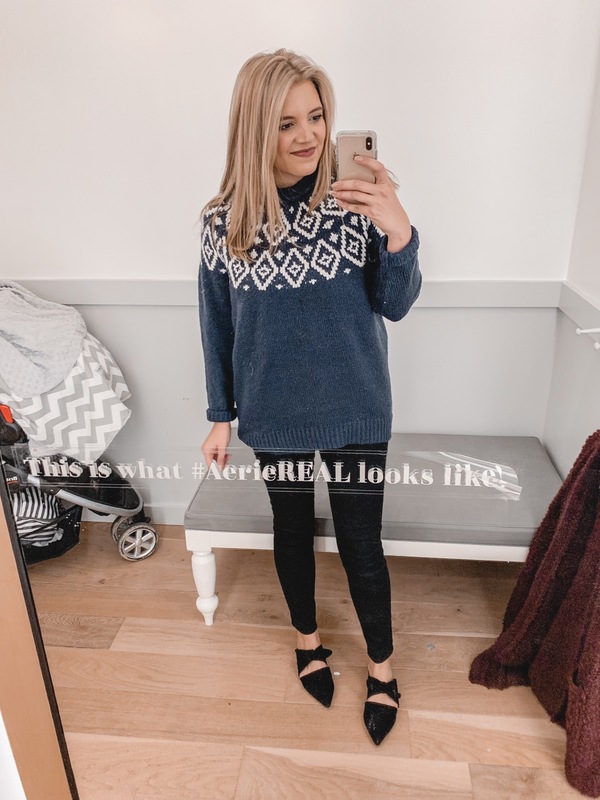 This sweater has crazy-good reviews online, and I get it. It is definitely soft (maybe not quite as soft as the cable knit, but still very comfy!)! It is long enough for leggings and comes in eight color options. I didn’t mind the fit of the medium, but I would have preferred the small. I have been all about the henley tops this year and I love this one. The sweater is a nice heavy weight and it definitely gives me boyfriend sweater vibes! I didn’t love it paired with my mules since they were a little too dainty. 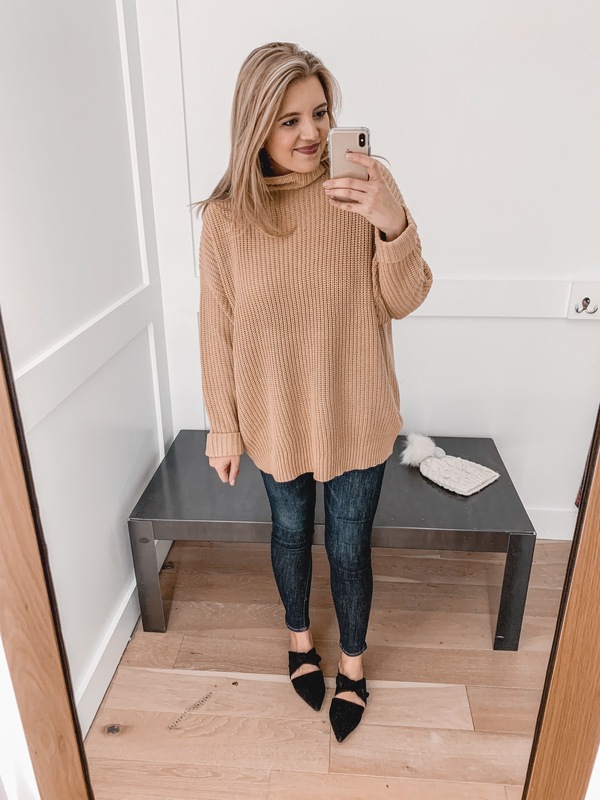 I’d recommend wearing it with boots or booties– anything more substantial to balance off the oversized fit of the top. This is such a great tunic for pairing with leggings. The fit is super-oversized! I accidentally grabbed the L/XL instead of the medium, so it’s even more oversized here. I’d recommend staying with your true size or sizing down one. 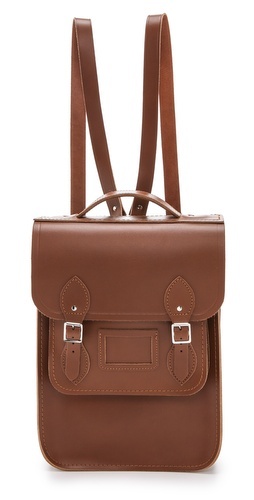 The beautiful gold caught my eye in store, but it also comes in cream and charcoal! 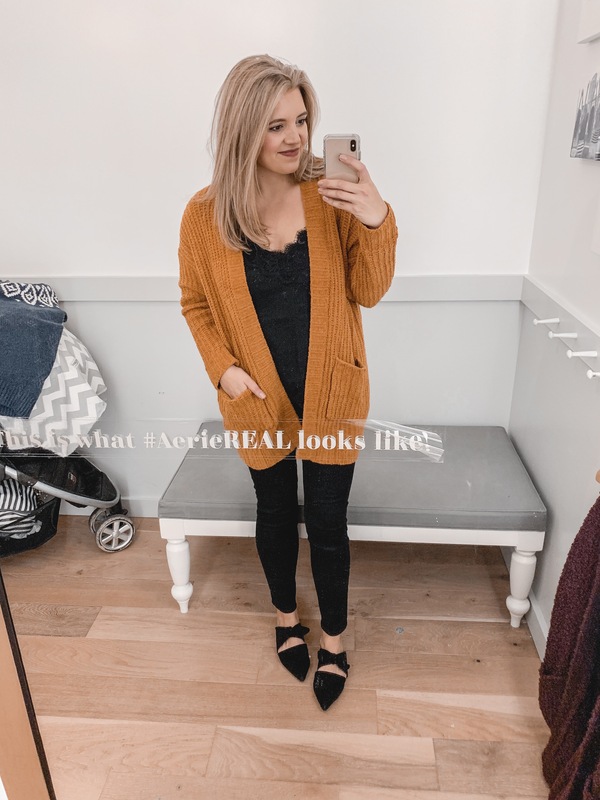 This is a perfect basic cardigan if you’ve been looking for a new one. 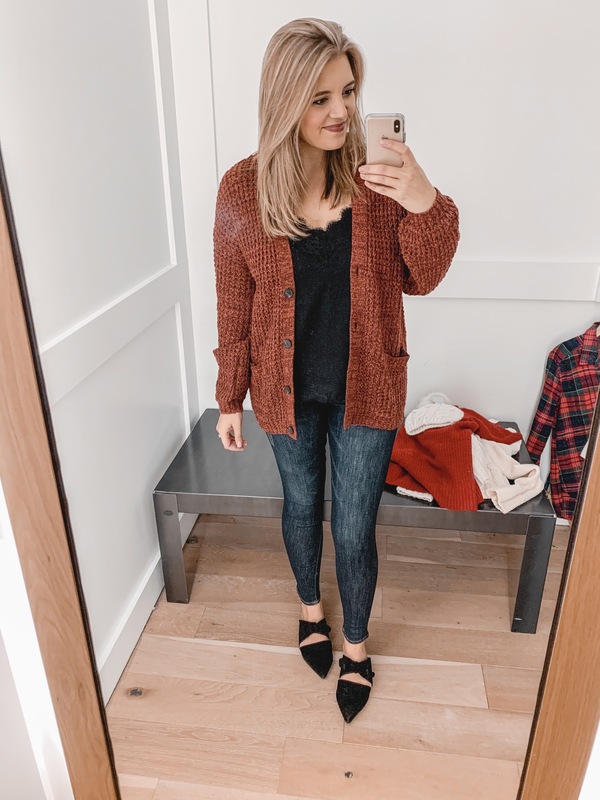 How fun is the texture on this cardi? It’s definitely a more trendy option! Although it looks a little brown, the color is more of a deep cranberry shade. It also comes in mustard! Fit is oversized. You could definitely size down. 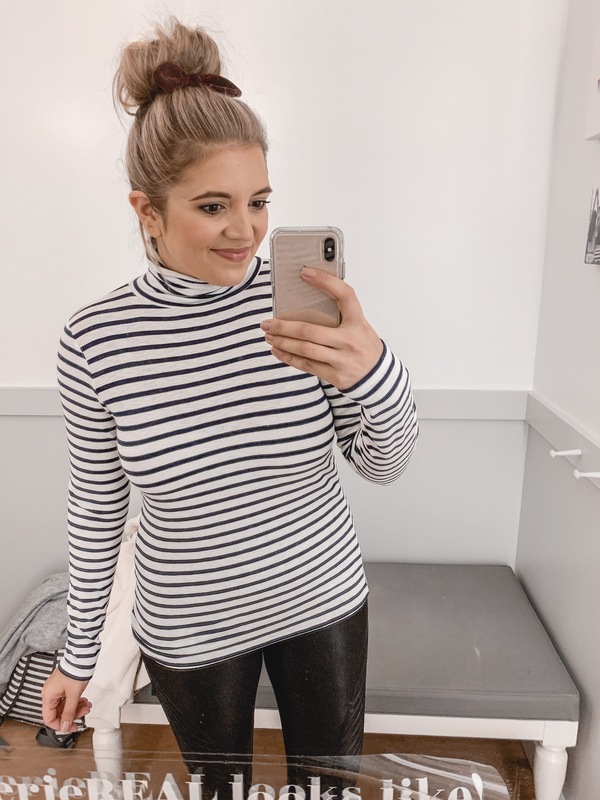 These turtlenecks are perfect for layering. They aren’t the tissue-type weight that I see a lot of. They are a little heavier and are ribbed. I’m wearing a medium in this first photo and a large in the red stripe. I preferred the fit of the large! 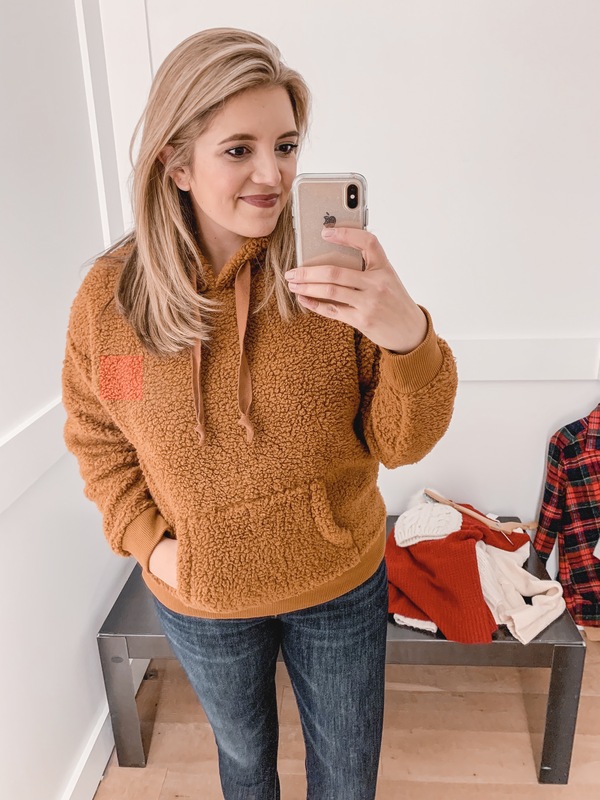 This pullover is what cozy dreams are made of. When I mentioned the one that was 100x better than the AE one, this is it. It is so soft both inside and out. It’s also tunic length, which is perfect for leggings! Fit is TTS, and it comes in four colors! 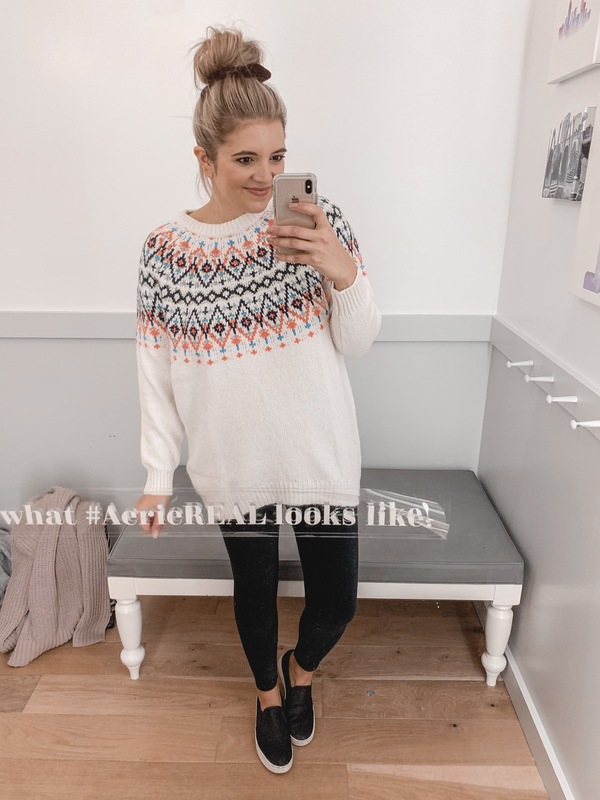 I also tried Aerie’s cable knit sweater, but this time the AE version won out. (I tried the AE one in the cream above.) This one is still comfortable but I just didn’t like the fit as much. This one is much more boxy. It comes in six colors, and I’d recommend sizing down one. How fun is this sweatshirt?!! 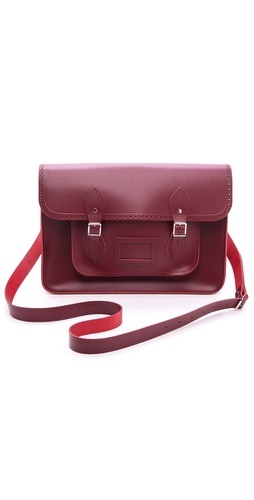 It also comes in Nice-ish, which would be so cute if you wanted to partner up with a friend or sister! They didn’t have a medium in store, so I grabbed a large. I would have preferred the medium though. Also these joggers, y’all. I own them in three colors and love them (clearly 😂). When you first put them on they fit TTS but relaxed. However I’ve found mine stretch out a ton. So, I’d recommend sizing down one! Spoiler alert: I bought both of these. The tunic is a chenille and so soft of course. 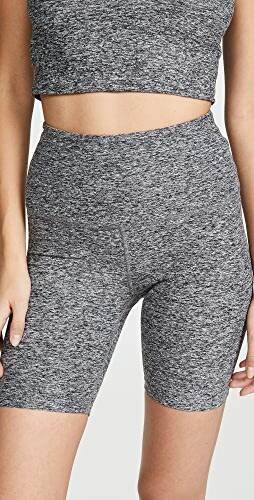 It’s perfect for leggings but would also work with skinny pants! It comes in seven colors and has over 200 4.5+ star reviews. I tried both the medium and small and preferred the fit of the small. Now the leggings. 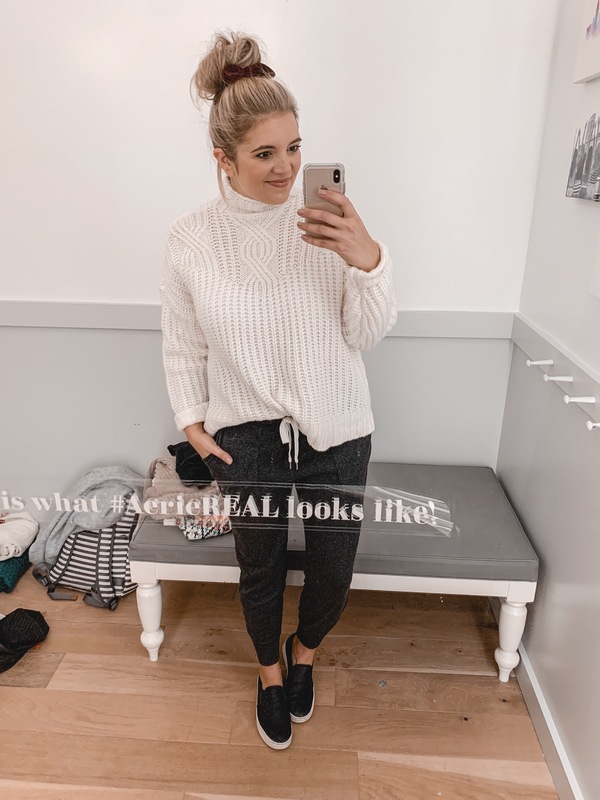 If you’ve been wanting a dressier pair of leggings that are perfect for fall into winter, I love these. They have a nice thick waistband that keeps them up, and of course they’re comfortable. They also come in two other colors! This is the same fair isle tunic as the navy and white one, but here it is in a medium. You could wear this with both leggings and jeans. This was probably my second fav sweater behind the chenille tunic! I’m also wearing the corduroy leggings again here! What was your favorite item from the try-on? 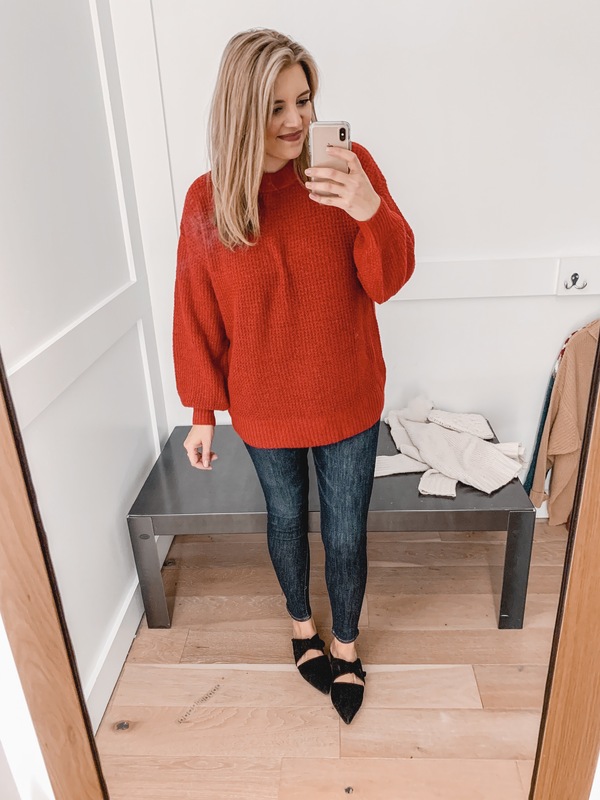 I just love all of the oversized sweaters! Oh my goodness, you look absolutely adorable in everything! Those jeggings are fantastic on you! 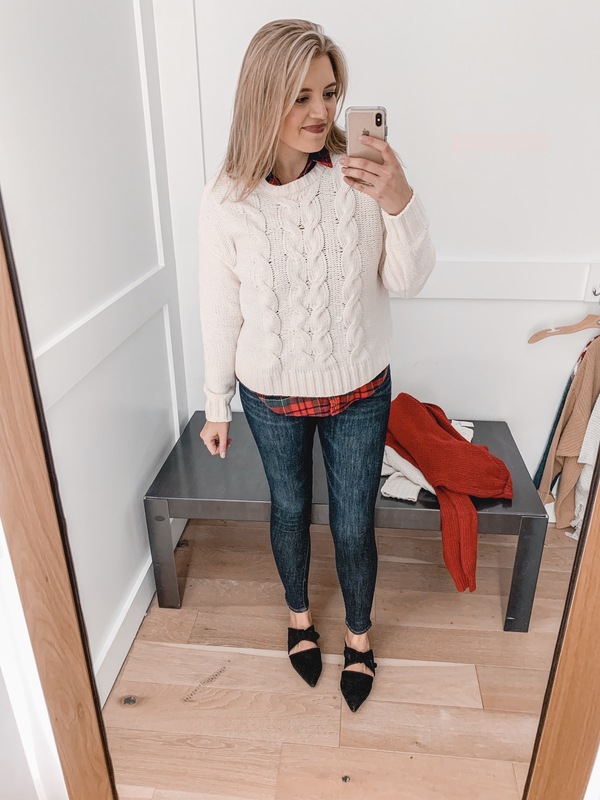 I wish I could find a comfy flannel in a maternity size! I love the stripe pajamas, and as usual you are adorable! 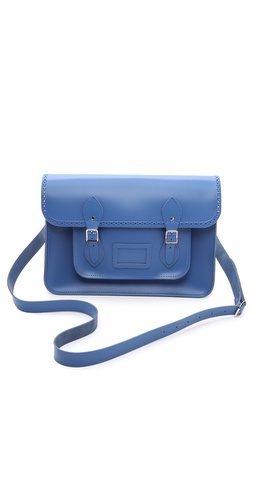 Shop Wide Leg Jeans, Lariats, Blue Mini Bags, Black Flats and more. Get this widget.